REFERENCES (selection list) - katjaroths Webseite! "I was close to taking over my first leadership position, when I started my coaching with Katja Roth. I was looking for a sparring partner who himself has experience with management in large business enterprises. My expectations were more than fulfilled. 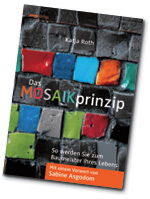 Katja Roth is an impressive personality, personally and professionally, and does an outstanding job. She is a competent coach, I can recommend to anyone who has to work through the pitfalls of first management tasks. Her support helped me enormously. " "Katja Roth is an impressive personality, personally and professionally, who does an outstanding job. Thanks to her open, honest and respectful way she won my confidence quickly. I was able to fully benefit from her wealth of experience. Especially helpful was playing through interview situations and working out possible answers. I learned both, what is worth to go in to deep in order to present myself appropriately in the interview and to put myself in positive light, and what to leave out. Basically, the coaching has given me confidence and sovereignty. What helped me enormously was her support to accept professional challenges and to believe in myself and my abilities. " "When I came to Katja Roth, I had an excellent resume and yet I could not present myself confidently in interviews. Thanks to her individual and concrete preparation, tailored to corporate requirements I passed my subsequent interview successfully. Especially helpful were the staging of scenarios typical for giving speeches. Her coaching has given me confidence and sovereignty."